There are many tours to discover the city but there is nothing like getting the fresh air of the autumn and saddle up for an exciting tour of the city or the mountain. 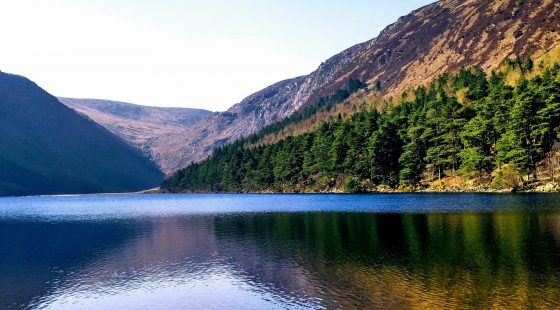 All levels will find the appropriate tours whether you prefer a guided tour of the city centre, a themed tour or an adventure on Dublin’s mountains. Here is a selection of the three best bike tours. 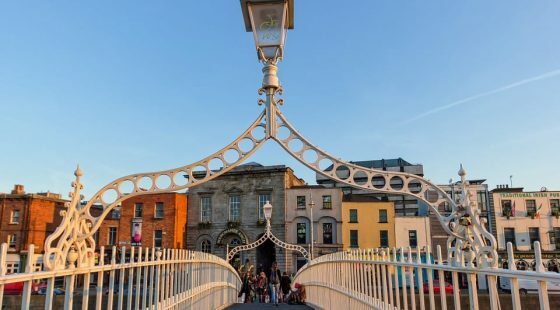 Discover the city through historic facts, jokes and insights into the contemporary Dubliner’s life with Dublin bikes tours. The local guides are putting a lot of energy to make this tour an enjoyable experience and take care of their guests with free snacks, rain jackets and frequent stops at the city hotspots. The ride itself is very easy, it is a flat ride where you will discover around 20 top Dublin sights, three hours of an easy paced eco-friendly bike tour. If you want to discover the wilder side of Dublin we recommend you Biking.ie. Whether you are a complete novice or an expert biker, the company is offering different day tours to suit all level. You can explore the Wicklow hill and pass stunning panoramic scenery as well as see the Guinness Lake during a mountain ride. Did you know that Wicklow hills have some of the best places for mountain biking? If you don’t feel like going up and down on narrow tracks you can go for a road cycle on the foothills of the mountains. It is also an enjoyable experience out in the countryside…. around the garden of Ireland. The second city centre bike tour provider is offering an excellent U2 tour. For fans or those who want to discover the native city of this internationally renowned Dublin rock band this tour is for you. Considered as the only true U2 experience, the tour will lead you through the iconic places associated with Ireland’s most famous band from their recording studio to the location that featured on their album covers. It is a really good way to discover how the city shaped their music and see their today’s influence. In addition, you will also stop by the main city sights and will have a basic understanding of their home town. Exploring Dublin by bike is an excellent way to get a sense of the city layout and see more than a walking tour is offering. And if you want to discover the beautiful mountains surrounding the city you will be in good hands with professional guides and top of range equipment. Feel free to share our blog to your friend and don’t forget to follow the Stephen’s Hotel on social media to being updated on what’s on in Dublin.